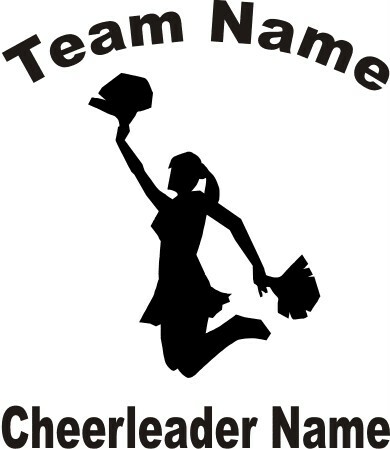 Show your support for your son or daughterwith this Cheerleader decal. These are white in color and approximately 4". Put your childs (or your own) team name on the top and your childs name on the bottom. These go great on your window, bumper or any smooth flat place. The black you see in the picture is the background and is not part of the decal.